The alpacas at Eastland Alpacas welcome visitors throughout the year. They get a lot of attention and just love it! 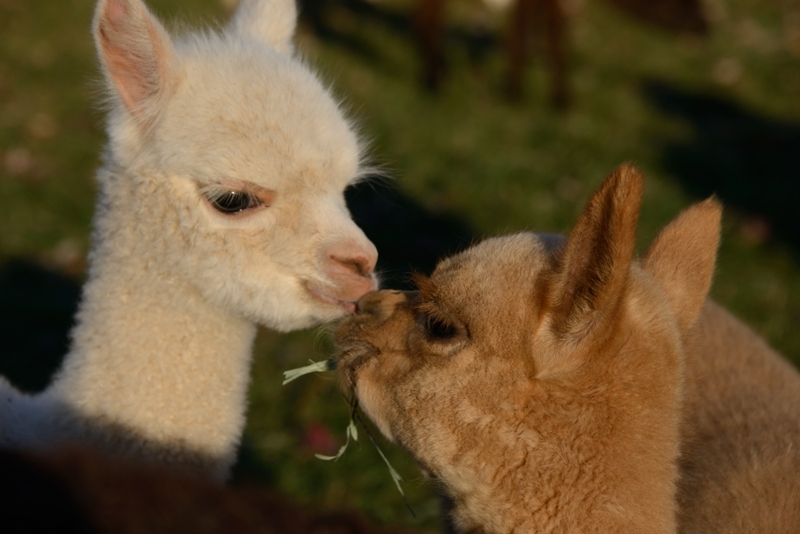 When visiting Lancaster County, be sure to make Eastland Alpacas one of your stops if you are an animal lover. Visiting with the Alpacas is upon availability! We are open by appointment! and....Tours are done by Donations! Please call to arrange a visit to the Farm or the “Farm Store Boutique” to be sure we are here! We welcome groups of any size to visit the farm to learn more about these incredible animals. Many school groups, nursing homes, cub scouts, brownies, church groups, extended family groups, etc… visit our farm each year. Call for an appointment and pricing. We are able to accommodate coach buses and large groups at our farm. Please call for more information, scheduling and pricing. When visiting you will learn about the alpacas, see the beautiful products made from their fiber and go one-on-one with the animals. We have Raw Fiber as well as Roving and Yarn from Our Alpacas. Also, check out the wide color selection of our Peruvian Yarns.